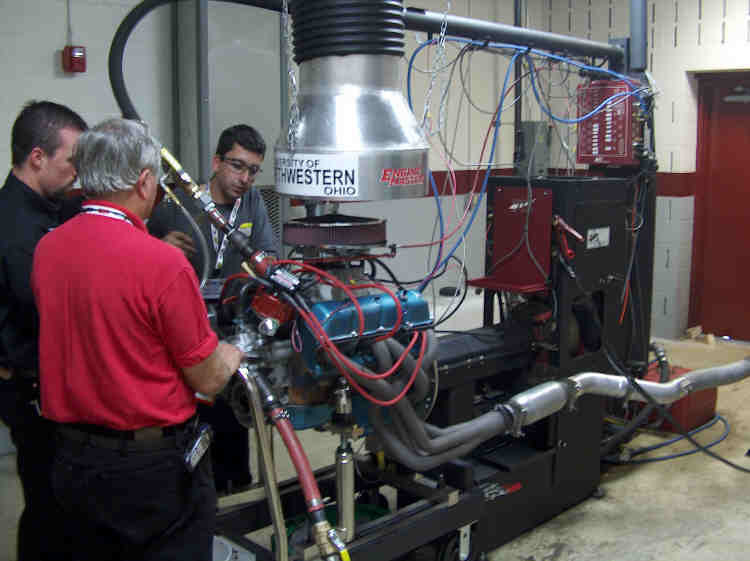 Here we see the engine on the dyno at the 2007 Engine Masters Challenge, just prior to the first pull. The gentleman in the red shirt is the Jegs tech inspector. Just to his left is the dyno operator. Others in the picture are UNOH staff and students, who were a great help to all the competitors.